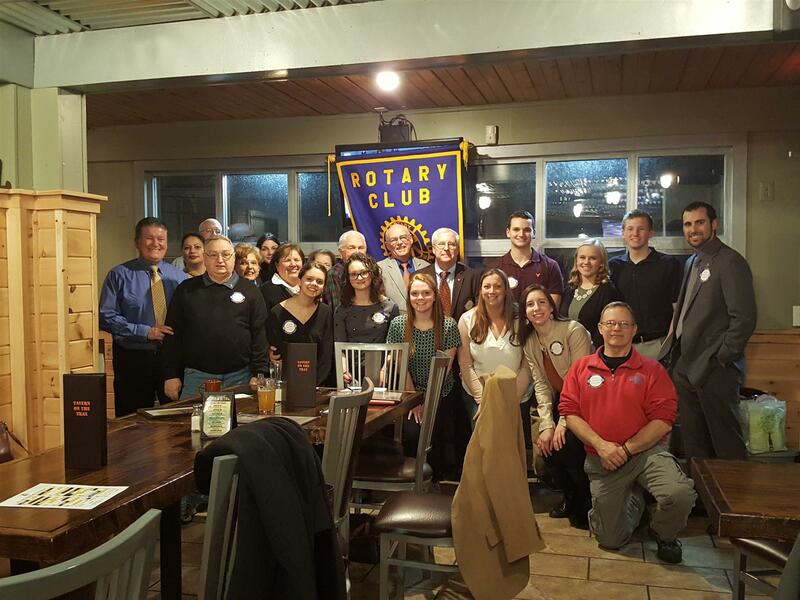 The Kensington-Berlin Rotary Club kicked off the New Year by changing its meeting time and place. No longer a Sunrise Club, they will now be meeting the 2nd &4th Wednesdays at Tavern on the Trax in Berlinat 5:30pm! DG Frank Wargo along with Assistant DG Judith Green, members of the Berlin High Interact Club who were guest speakers along with Chris Knoblock, Director of Marketing for the New Britain Bees and members of the club celebrated together for their first meeting on January 11, 2017.